Ammo cans are the perfect solution for long-term ammo storage or for just keeping your powder dry before your next trip to the range. 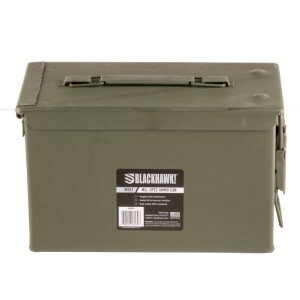 We work to keep a steady supply of ammo cans in stock, from 30-cal ammo cans to larger 50-cal cans that'll easily hold a case of most calibers of ammunition. 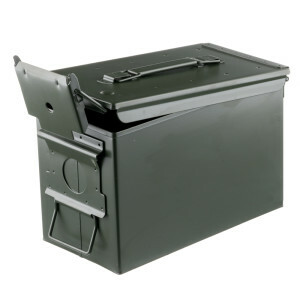 Look for 30-cal, 50-cal as well as others, like Flambeau ammo cans and Plano storage solutions in stock and for sale. Want to be more precise in terms of caliber capacity? 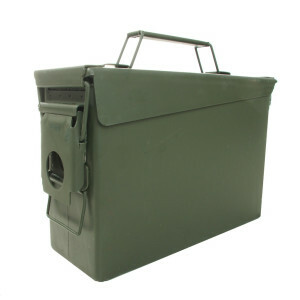 No problem, a typical 30-cal ammo can will hold about the following number of rounds.